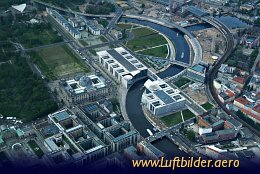 The legislative buildings at the Spreebogen, including the ''Reichstag'' and the ''Bundeskanzleramt''. The Reichstag was built between 1884-1894 after plans of Paul Wallot. The term Reichstag goes back to the Parliament of the Holy Roman Empire. Bundeskanzleramt am Spreebogen, Willy-Brandt-Str. 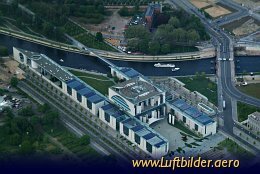 1 is the address of the German Chancellors office since April 30th 2001. 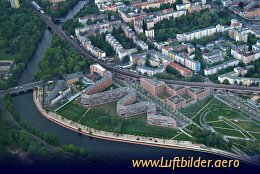 Sumptuary residential quarter in the Joachim-Karnatz-Allee.